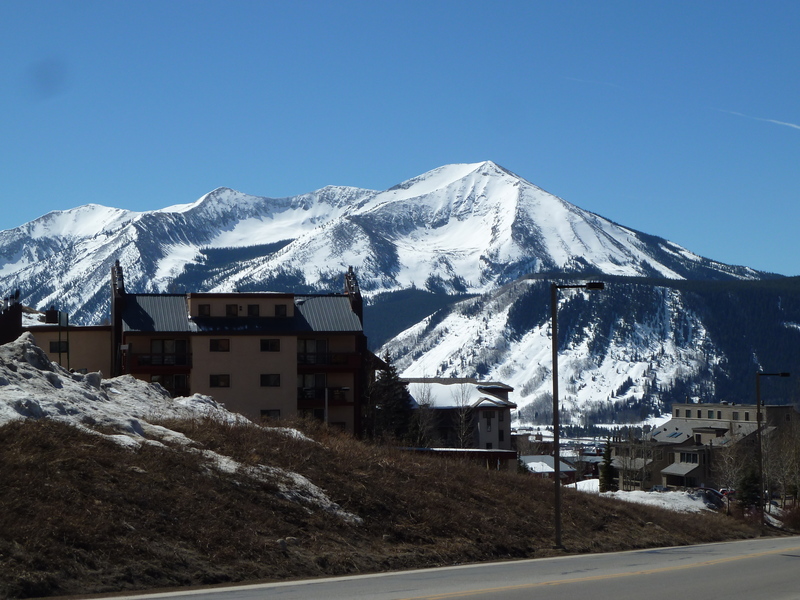 After a few days relaxing in Houston, we headed to the airport to fly to Denver last Friday and then drove the 230 miles to Crested Butte in the Rocky Mountains. 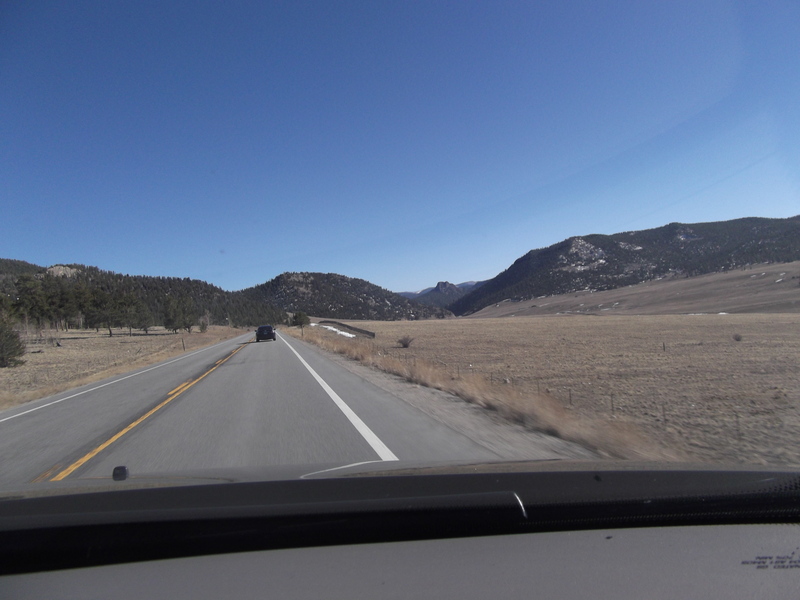 The drive was beautiful out across the plains and into the Rockies. It was lovely to see some of the American countryside after spending the last few weeks in Houston (bar our trip back to the UK, that is). 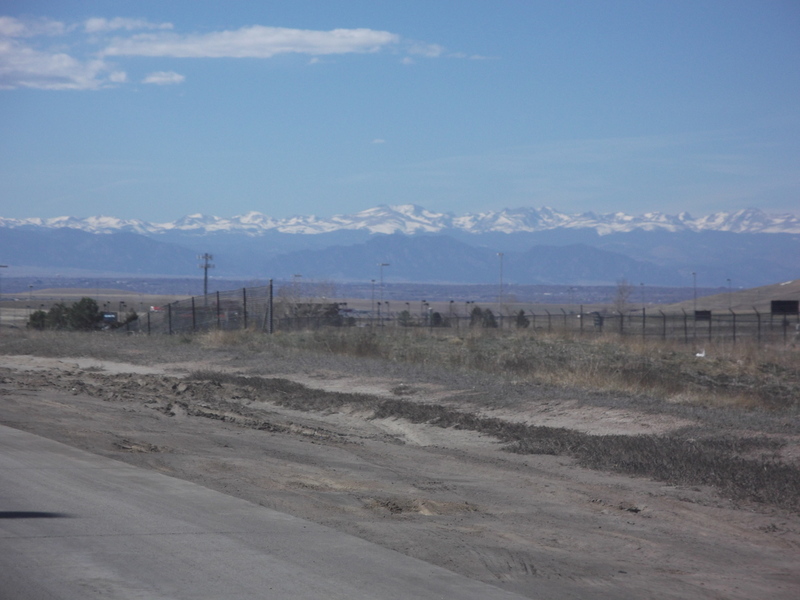 The mountains looked beautiful in the distance and only got more beautiful as we got closer. It was a long drive but the town of Crested Butte greeted us with Mount Crested Butte rising up behind it. It was breathtaking, with the only detraction the fact that the Big One was feeling very sick after all the twisty roads. She did make it into the house to be sick (phew – the thought of a sick-smelling car for the week was not a good one!) and then we explored the 3 storey house. The other concern on our way into town had been the lack of snow. Even though we were on the mountain above the town and at the edge of the ski resort, there was very little snow around. Luckily when we got to the bottom of the ski lifts the next morning there was plenty of snow there. And also very warm sunshine. So warm, in fact, that we’d shed our coats and jumpers within 5 minutes of leaving the house and were totally regretting the thermal underwear. This was going to be proper fairweather skiing – hurrah! 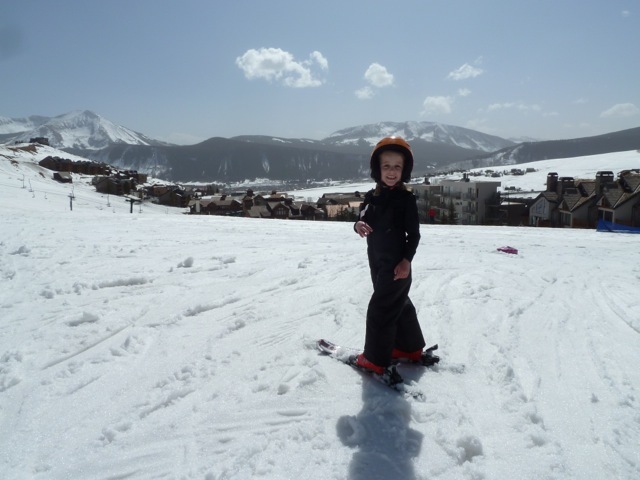 Having signed up the girls and my lovely husband for a lesson that afternoon, as well as getting all the ski equipment hired, we headed back to the house to take off most of the clothes we’d put on that morning and put on a lot more sun cream! The girls took to skiing immediately, showing none of the fear I remember when faced with standing at the top of a nursery slope with 2 pieces of metal strapped to my uncomfortably-housed feet, in Bulgaria 20 years ago. I think equipment and teaching has come on a long way since then… They were both instantly at home and seemed to know how to ski intuitively. Luckily the days of button lifts and side-stepping up the mountain (was this just a Bulgarian thing 20 years ago?) are long gone so I spent a happy afternoon going up the magic carpet (moving pavement which took me to the top of the nursery slope) and skiing down, picking up either girl if they’d fallen over on the way down. A nice gentle re-introduction to skiing after such a long time, although a bit hard on the arms as repeatedly picking up children wearing ski boots and skis is no easy thing! My lovely husband (and Dad who joined his lesson) also did well that first day, tackling a first green run down the mountain a couple of times and looking like he’d been skiing for years! By the second day, the girls were happy to stay with the instructor and the grown ups got to go down the mountain a few times on their own. I had forgotten how much I really enjoy skiing, particularly down the blue runs (there are no red runs here – was that just a Bulgarian thing too?) and I was surprised that my feet and legs just remembered how to get down the mountain quickly and (almost) elegantly! I couldn’t believe that my lovely husband come down a blue run so easily after only 3 hours of tuition. I’m not sure I want to going skiing with him again though as he’ll definitely be better than me next year! The sun shone all week, meaning that we spent a lot of time applying sun cream. It is a truly beautiful place and a good time of year to go as most people holiday there earlier in the season, so some of the runs we had entirely to ourselves which was wonderful. Despite everyone doing so well, we took it easy all week, only skiing for half a day each day. My Dad was fortunate in that he was chosen as chief Rainbow Magic Fairies reader for the week (giving me a very welcome break from the 50-odd books we’ve got in the series that all follow exactly the same storyline… if only I’d thought of the idea or writing a very formulaic series of children’s books!) He got to read bedtime stories, pre-breakfast stories and even 0n-piste stories about Cherry the Cupcake Fairy! 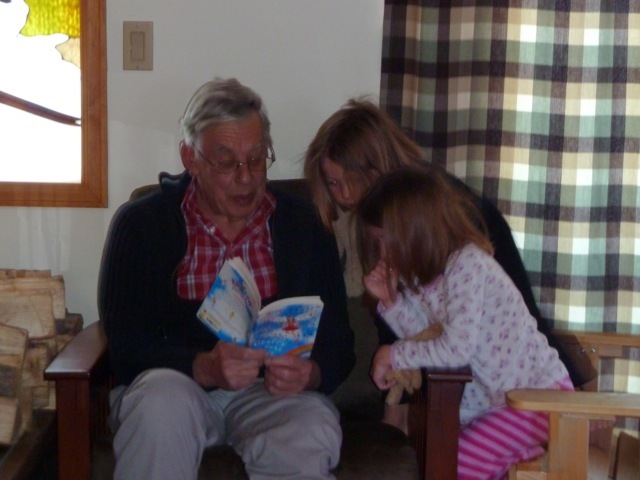 The girls really enjoyed spending time with their Grandad – it was a really magic time and it’s not often we get such uninterrupted time together. 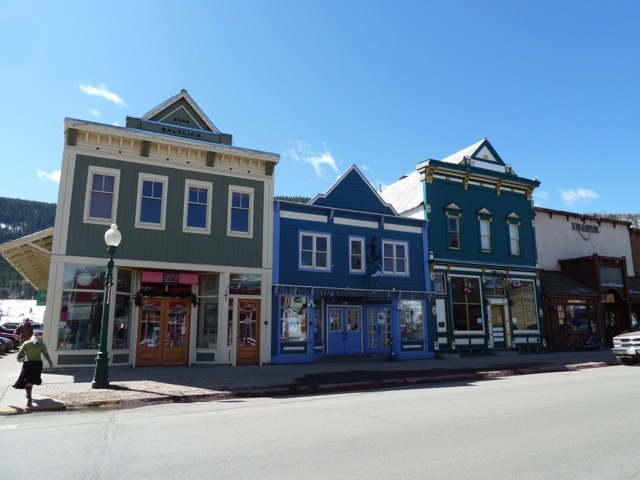 The town of Crested Butte is filled with individual shops (no chain stores of any sort here) and is a proper cowboy town. The restaurants are pretty good too – we visited a great Italian twice (the second time the Little One was so tired from skiing that she fell asleep before finishing her main course even though it was very noisy!) and a fantastic pizza restaurant, The Secret Stash, where we sat at a low table, with cushions on the floor for chairs, played air hockey with a piece of ice (which delighted the girls but probably not those around us!) 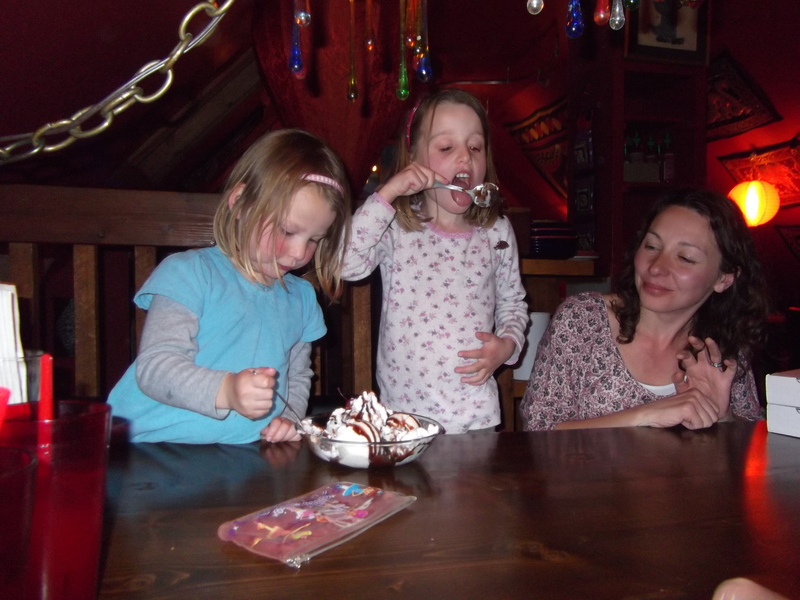 and the girls ate the largest chocolate brownie dessert I’ve ever seen! 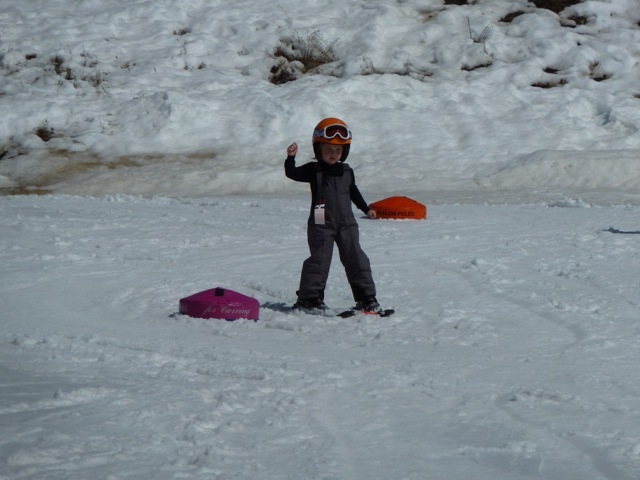 Our last day of skiing was our most exciting – we all went to the top of the mountain and came down an easy green run. The girls were amazing. I never thought I’d be taking 3 and 5 year olds from the top of a mountain after only 3 lessons… We also took them up another lift, half way up the mountain on to a more difficult green run and they did just as well on that. It was fantastic to watch them making it down safely and in control and loving every minute of it. We will definitely be going skiing again. 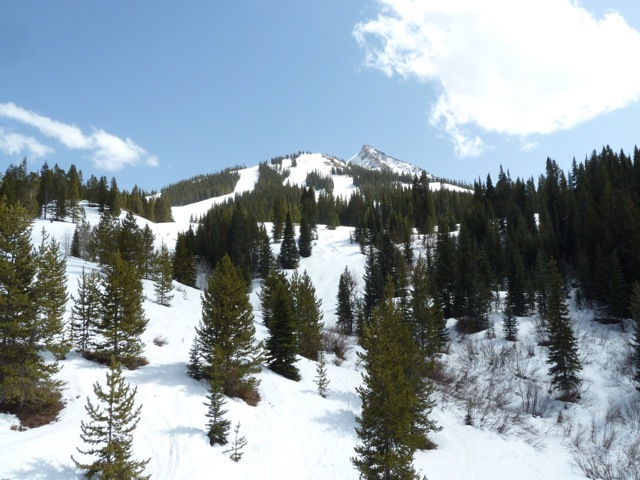 We spent our final day in the town of Crested Butte, wandering around. It doesn’t take much to imagine the town when it began in the late 1800s, with cowboys riding down the main street rather than SUVs. There are still lots of cowboys around the town but none tying their horses outside the trading post these days. There was a great bookshop with a cafe on the side – the sort I’d be happy to retire and run, cooking cakes and reading being a perfect way to spend my time! We spent ages in there reading all the children’s books and drinking hot cider (actually spiced apple juice). Having wandered around the main street for a couple of hours, eating ice cream and chocolate fudge we ended up in a rum distillery – Montanya Rum (http://www.montanyarum.com/) tasting their rum (which I don’t usually like but this was delicious!) They had a fantastic range of cocktails too (and free popcorn for the girls, which made them very happy) one of which was made with jalapeno and cucumber – sounds weird but was delicious (if you want to try it the recipe for Teocalli Caldera Martini is on their website – just marking it here for our future reference!) I’m thinking it would be very good over crushed ice when the weather gets ridiculously hot later in the year. We were all very sad to leave Crested Butte and will definitely be going back later in the year. It is famous for having the most beautiful wild flowers in Colorado in the Summer and it seems like a great place to hang out and hide from the humidity of Houston for a while. The girls did keep us on the hop on the drive back to Denver, demanding an explanation to the cowboys and Indians conflict and wanting to know exactly why the settlers couldn’t share with the Native Americans – a very good question indeed… Another topic for home-schooling I think! We’ve watched a Western with the girls since we got back but I’m not sure it helped! What an amazing adventure for all of us and so lovely to share part of our adventure here with my Dad. Thank you Dad for coming to see us and see you very soon. The girls are still talking about clearing their piggy banks out so that you can buy a pony to keep at your house in France! LOVED this entry Kate! Sounds like an amazing time and the location looks and sounds fantastic! Sounds absolutley fantastic Kate, the girls did really well! They loved it and can’t wait to go back. Neither can we. It was truly beautiful.